The Canadian Government is permitted to enact laws at the federal level, most of these laws are Criminal Codes. These Criminal Codes were created with the intention of enforcing primary laws against cheating, fraud, and illegal activities. 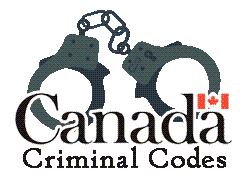 These Criminal Codes just make up another facet of Canadian gambling laws. 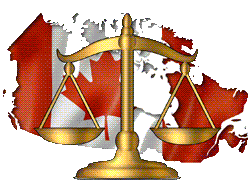 The most important Federal level Criminal Codes will be mentioned here, but the list provided below does not include every Criminal code active in Canada. We recommend reviewing other Canadian Criminal codes to ensure residents do not violate federal law. Criminal Code 201 punishes individuals who managed, kept or operated a gambling house where illegal gambling operations and activities occurred. The punishment for those that violated Criminal code 201 would receive a fine and guilty charge of a criminal offense with a jail sentence of up to 2 years. This Criminal code does not only target operators but players as well. The punishment for those participating in illegal gambling activities within an illegal gambling house can face the same violation sentence. Criminal Code 202 prohibits domestic sportsbooks, betting, bookmarkers, and pool selling. This Criminal Code specifically punishes bettors for wagering illegally with imprisonment of up to 2 years. Criminal Code 206 punishes individuals who fraud the domestic lottery system within provinces, or frauds any game of chance. This Criminal code specifically details numerous lottery schemes affected by this regulation and clarifies which are illegal under this code. Lastly, Criminal Code 209 punishes individuals caught cheating on any game or through any gambling service, whether casino, poker, sports gambling, race betting, or lotteries. The punishment for defrauding any gambling service provided in Canada is a 2-year prison sentence. The first Criminal code enacted concerning gambling regulation was the Canadian Criminal Code C-46 introduced in 1985. Under part VII: Disorderly Houses, Gaming, and Betting of this code, provisions detail who could wager or gamble, where these activities could take place, what games were allowed, and detailed specific offenses for violations of these provisions. Criminal Codes exist as a way to enforce rules and regulations at the Federal level. While provinces have certain freedoms, they cannot opt out of federal level enacted laws and codes. Therefore, Criminal Codes act as enforcers and can punish those individuals in violation of the law with heavier penalties and harsher repercussions. Like many other countries, laws at the federal level can assist in setting a uniform guideline and standard.